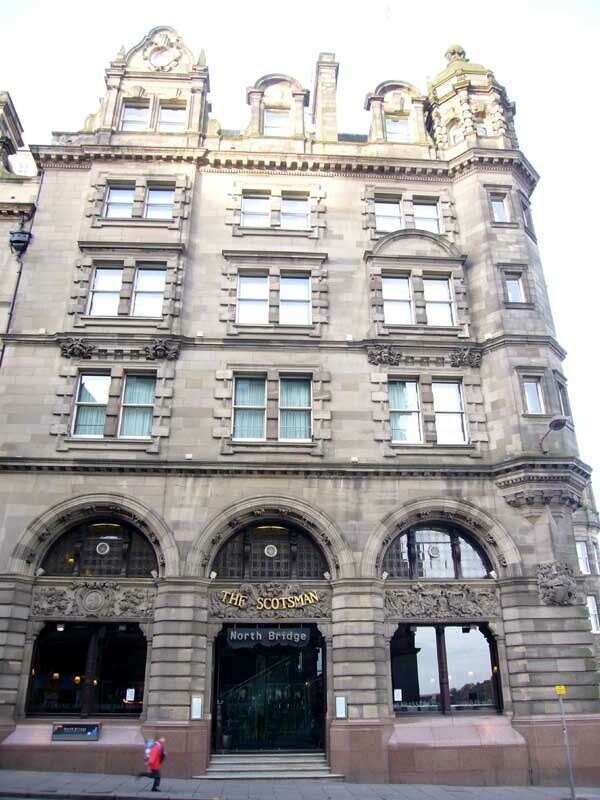 This red sandstone Edwardian building with a large marble staircase once housed the offices of The Scotsman newspaper. It’s now a luxury hotel with 56 rooms & 12 suites. This luxury Scottish Hotel has a health club a brasserie, bar and restaurant. Excellent views from the upper floors of the Scotsman Hotel, particularly over North Bridge toward the Firth of Forth. North Bridge Brasserie & Bar is set in The Scotsman Hotel, one of Edinburgh’s leading luxury hotels and a member of The Leading Hotels of the World. 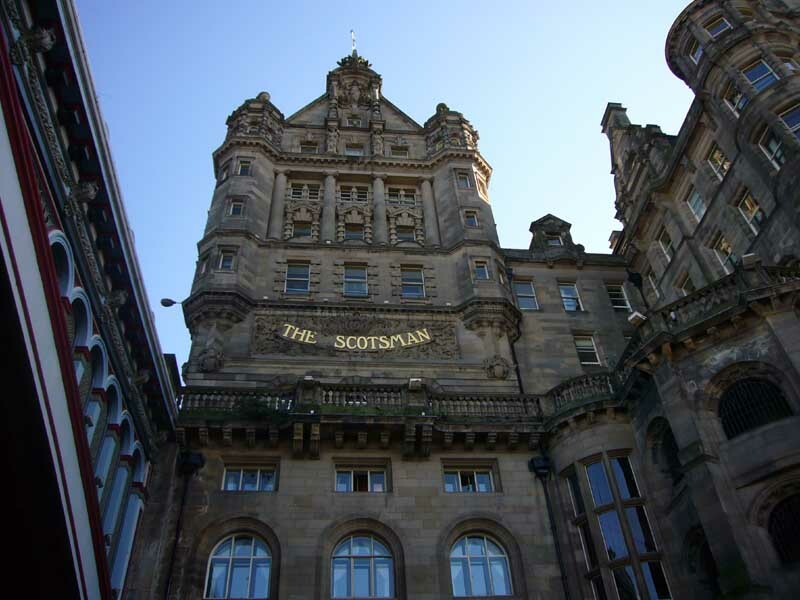 The hotel occupies the former offices of The Scotsman newspaper, which inhabited the building for nearly a century. North Bridge Brasserie & Bar is set in the newspaper’s former marble reception hall and access to it is through the building’s original main door. Design: Tables are set in intimate coves and booths on the ground floor as well as around the walls of the gallery level. A stunningly contemporary steel staircase connects the two floors. In the centre of the room flanked on each side by four imposing marble pillars lies the modern cocktail and wine bar. The leisure club, swimming pool & gym are based lower down the building in the former type-setting and printing halls. The building was an intriguing and efficient vertical factory: at the top were pigeon lofts for carrier pigeons carrying news back and forth from outlying parts of scotland, in the middle were the Editorial offices and down below the newspapers were printed and then churned out under Market Street to waiting trains for distribution.